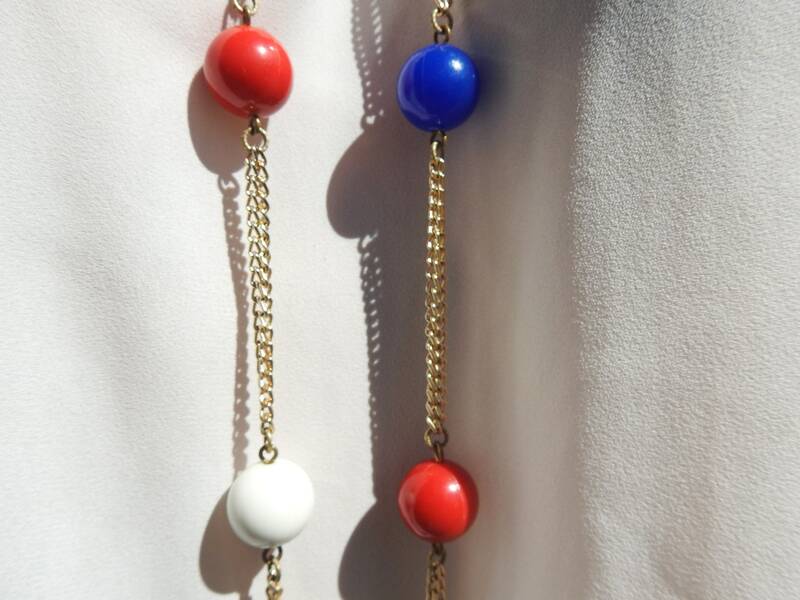 This red white and blue bead necklace will accompany you from morning til evening, it is so easy to wear! 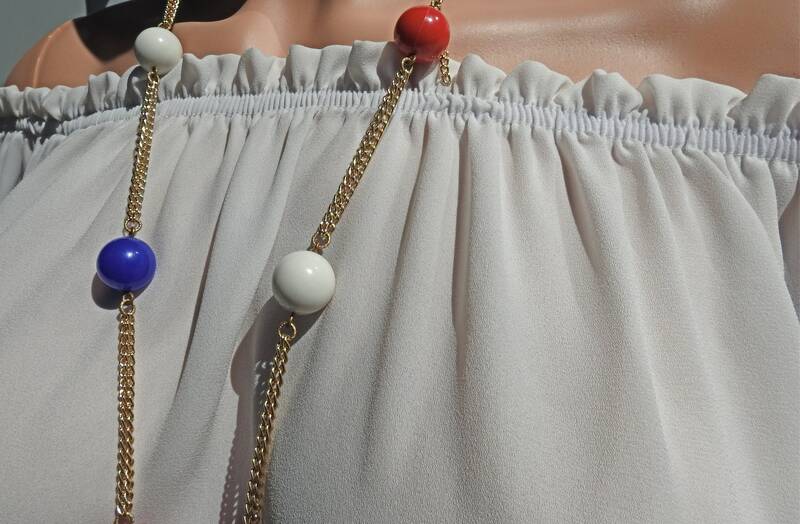 Simple and chic, you can't go wrong with this chain rope necklace. 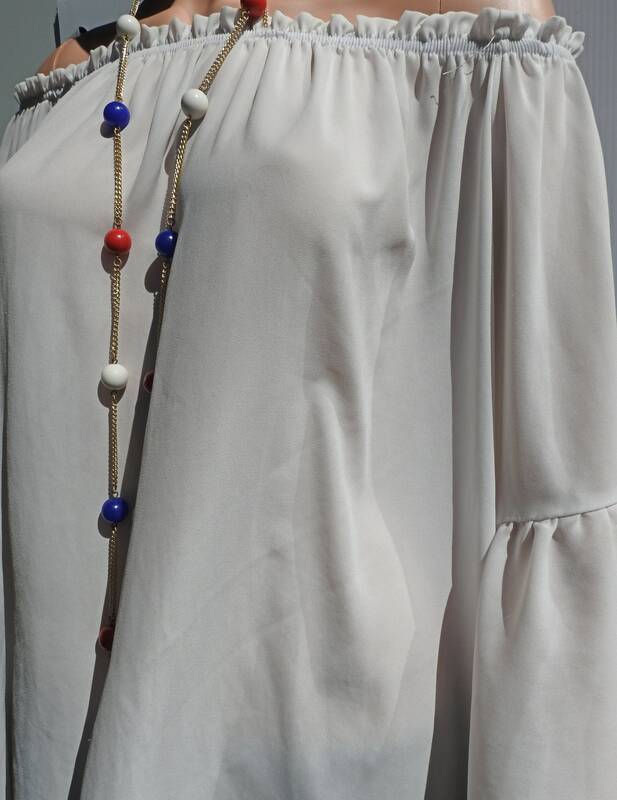 ● 24 in. 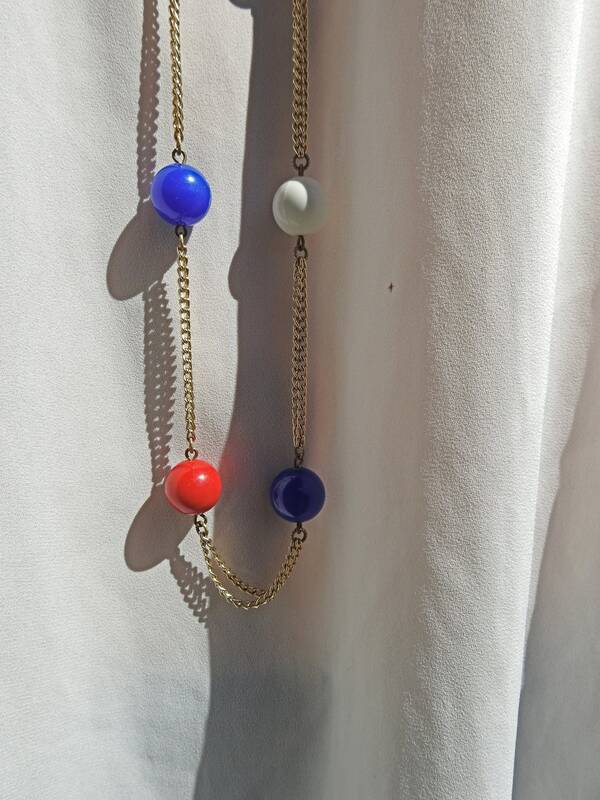 necklace - Please check the photos. 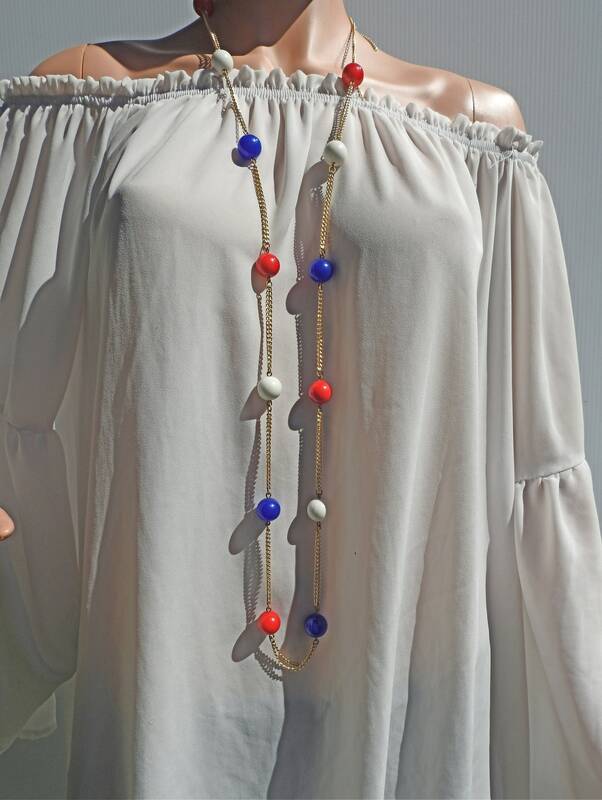 ● Made from plastic beads and long chain necklace. 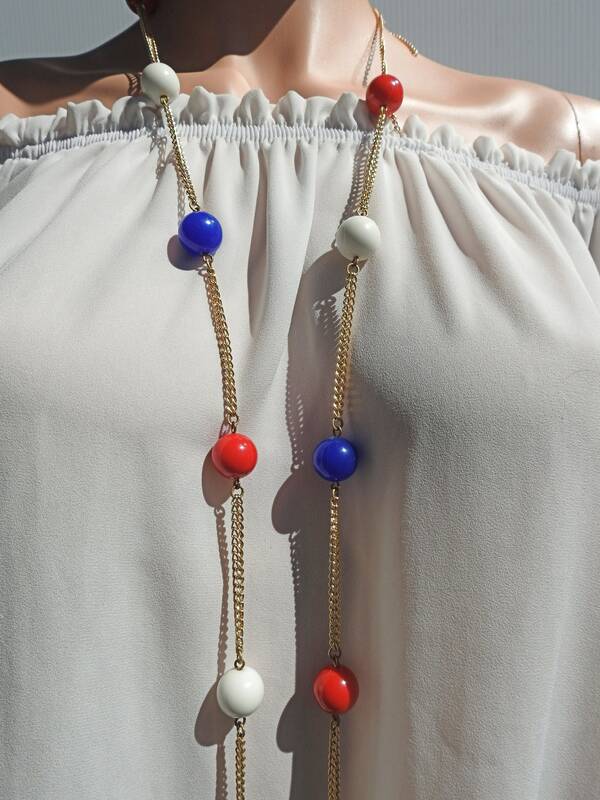 Thank you for exploring this cute long red white and blue bead necklace.